“Yoga is for all” – how many times have we heard this or read this? But, is it true and practical? Those of you screaming “yes” are probably young and/or physically fit to undergo such a training, but those who just rolled your eyes comprises the majority – those who are elderly, have physical limitations, or even be in lack of time. Let us tell you a secret – “Yoga is for all.” There, we said it, just like a million other websites and yoga practitioners and believers. What’s stopping you? Age, inflexibility, injury? Yoga, as we know it, was found 5,000 years ago and has come a long way and has undergone several modifications and innovations. ‘Chair Yoga’ is one such modification or innovation which, even though influenced completely by the practices of yoga studies’ is a slight deviation from your everyday yoga. Chair Yoga, also known as seated yoga, is a form of yoga which is practiced using chair as an important prop. It is a gentle, less demanding, form of yoga which is practiced sitting on a chair or standing and using chair as a support. This form of yoga is best suited for those with limitation as mentioned above, especially for the elderly. Let us tell you five (and there are many more) chair yoga poses which can be practiced by anybody and everybody effortlessly. Also known as the Tadasana (mountain pose), this modified posture requires you to calmly sit on a chair with your spine straight and extending. Take a deep breath and as you exhale, roll your shoulders down your back, pull your navel in towards your spine, and relax your arms down at your sides. Engross your legs by levitating your toes and pressing firmly into all four corners of your feet. Benefit: This simple seated yoga posture helps you engage your core, focus on your breath, and check in with your body posture. One of the easiest chair yoga poses, to practice this posture, sit relaxed on your chair, and take a couple of deep breaths. As you inhale, stretch your arms straight on the sides, and as you exhale, bring them in front of you, take your right arm under your left, grabbing yourself, and give yourself a hug. Inhale again and as you do, life your elbows a bit higher and you exhale, roll your shoulders down and away from your ear. Benefit: This seated yoga pose helps you stretch your wrists and the space in between the shoulder blades, two of the most difficult areas of your body to stretch. Another key posture while practicing yoga in a chair, the chair cat-cow stretch required you to be seated in the seated mountain pose but with the palms of your hand resting on your knees or the top of your thighs. When you inhale, arch your spine and roll your shoulders up, down, and back. When you exhale, round your spine and drop your chin to your chest, letting the shoulder and head come forward. Benefit: By practicing this form of yoga in a chair, you expanse your entire spine and improve spinal mobility. After the stretches, comes the seated forward bend. Seated is the mountain pose, inhale deeply and bend your upper body all the way down so your torso rests on your thighs and the palms of your hands rests on the top of your feet. Stay like that for 5-6 breaths or 30 seconds, and inhale again as you bring your body back to the mountain pose. Benefit: This chair yoga pose helps you relieve stress and calm your mind at the same time stretching the spine and the back muscles along with massaging your intestine for a stronger digestion. The last in the series of yoga postures considered safe and logical as yoga for seniors is the simple seated twist. Before trying this pose, know not to force your back or body to twist more than its natural stopping point. Forcing such a twist can cause serious injuries. Having said that, inhale deeply and raise your hands to your sides and up. As you exhale, gently and slowly twist your body to your right while lowering your arms. While you twist your upper body to your right, your left hand should rest on the right arm rest and the left right hand should gently rest on the back of the chair helping you with the twist but not deepen it. Benefit: This simple seated twist yoga in a chair posture helps you particularly if you suffer from lower back pain, indigestion, or circulation. This pose is also one amongst the ‘detox’ poses. 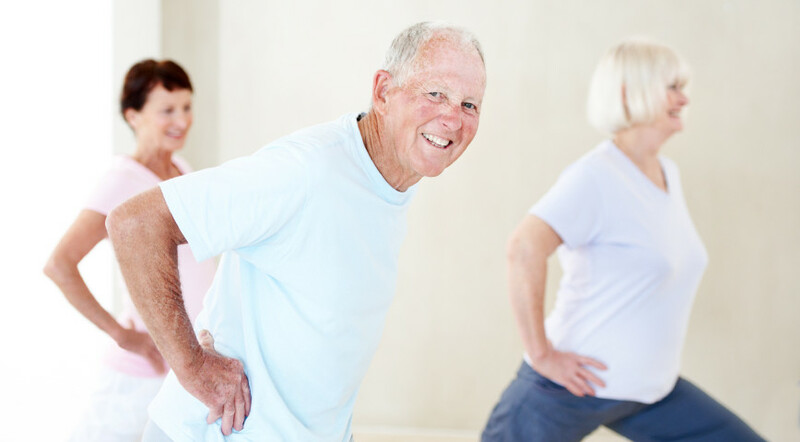 Please keep in mind that the above-mentioned asanas or postures are a modification of the regular yoga postures keeping in mind that we wanted to address the topic of yoga for seniors and for people who, due to an injury or any such physical limitation, refrain from practicing yoga. Yoga is for everybody and all of us can benefit some way or the other from it which is why millions of people around the world vouch for this amazing science and art. So, stop giving yourself excuses and sit on that chair already! To know about these Chair Yoga poses in further detail, explore our Yoga Teacher Training In India.